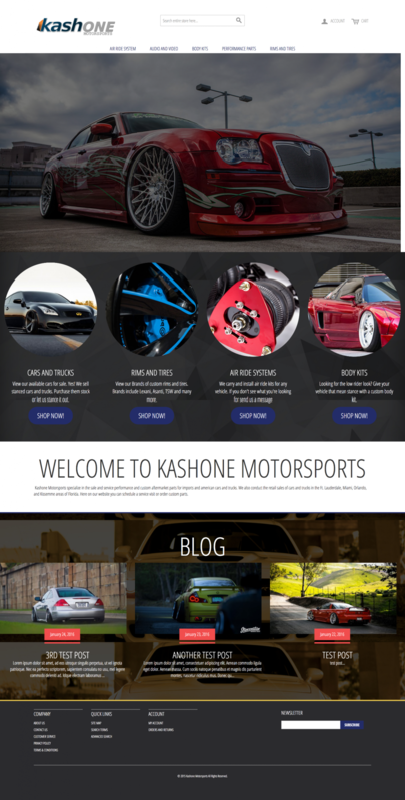 Kashone Motorsports Magento website design was a great project. We decided to add the Fishpig WordPress intergration extension and added our own home page template to the design hence the blog summaries area on the home page. This also gives the additional SEO juice that WordPress is very good at gathering. Unlike most Automotive websites, we added the Home slider as a background slider giving some character to the top of the fold.